Bayonne Farmers’ Market is Back on Tuesdays Mayor Jimmy Davis announced that Bayonne Farmers’ Market has returned for its seventh season. It will operate on Tuesdays from 2:00 pm to 7:00 pm, starting on Tuesday, May 22. It will run until the autumn. The closing date will be announced. The market will be open rain or shine, unless extremely heavy rains made it impossible to function. The market will take place at Fitzpatrick Park, which is located on Avenue C, between 26th and 27th Streets. Fitzpatrick Park stands across the street from the south side of City Hall. Mayor Davis said, “The Bayonne Farmers’ Market has become a popular annual feature of our community. 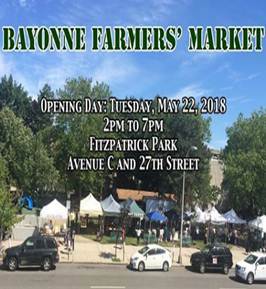 We welcome the 2018 Farmers’ Market to the City Hall neighborhood again, which provides a great central location for Bayonne shoppers.” Participants this year will include both new and returning Famers’ Market businesses. Vendors include the Empanada Lady; Gourmet Fruits and Nuts; Lizzmonade; Just Delicious Kettlecorn; Dr. Pickle; Paolo’s Kitchen, Inc.; High Mountain Foods; and Ort Farms. More participants are expected during the season and will be announced. As was the case last season, the Bayonne Farmers’ Market is offering a Community Supported Agriculture (CSA) program with Ort Farms. CSA allows city residents to have direct access to high quality, fresh produce grown locally by regional farmers. When you become a member of a CSA, you’re purchasing a “share” of vegetables. Weekly, from now until the autumn, your farmer will deliver that share of produce to the Market for pick-up. CSA members pay for an entire season of produce upfront. This early bulk payment enables your farmer to plan for the season, purchase new seed, make equipment repairs, and more. Bayonne’s CSA was very successful last year and will be returning again this year. The famers’ market CSA program is unique in that it is customizable, so customers only get the produce that they want each week. Registration is ongoing. The CSA program offers three options: full, half and personal shares. 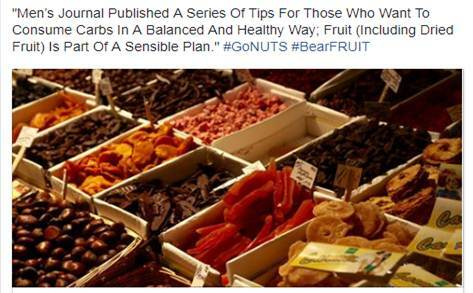 The main CSA period runs from May into October, with an assumption that each customer has one week of vacation from the program. Eggs or cheese can be added to your share. Flexible payment plans are available. Additional weeks may be available from Ort Farms after October. More information and CSA applications can be found on the Bayonne Farmers’ Market Facebook page or at www.ortfarms.com. 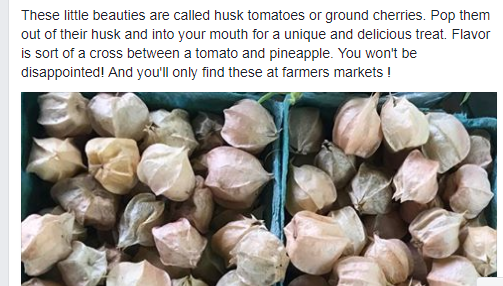 The link to the Farmers’ Market Facebook page is https://www.facebook.com/BayonneFarmersMarket/. If you have any questions about the farmers’ market program, please call the Bayonne Urban Enterprise Zone office at 201-858- 6357.